ARC Completes the Oracle Santa Monica project with a very happy client. This entry was posted in News, Uncategorized on May 1, 2016 by Eddie. Caliber awards are around the corner and the SoCal Chapter of IIDA has announced the nominations. Once again ARC is honored to be on 11 nominated teams. This entry was posted in News, Uncategorized on March 1, 2016 by Eddie. This entry was posted in News, Uncategorized on February 3, 2016 by Eddie. ARC Engineering was part of the team winningGold for Best office project at the Los Angeles Business Journal’s Commerical Real Estate Awards – 2016 joining Tishman Speyer, Shimoda Design Group and Turner Construction. This entry was posted in News, Uncategorized on February 2, 2016 by Eddie. ARC Engineering completes the Respawn project in the San Fernando Valley – The video gaming company with development titles, Call of Duty and Infinity ward, moved into their new ofice space featuring under floor air, gym, UPS, inrow coling, UPS and Generator back-up. This entry was posted in News, Uncategorized on February 1, 2016 by Eddie. The Wallis Annenberg Center for the Performing Arts has been awarded again and is recipient of this year’s “Annual Preservation Design Award” ! This entry was posted in Uncategorized on July 10, 2014 by Eddie. The new global headquarters for Deckers, the company that makes Uggs, Tevas, Sanuk and other footwear, has earned the company a LEED® Silver Certification. 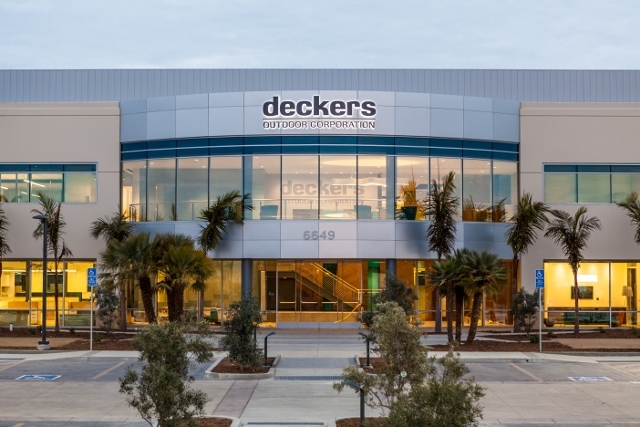 Deckers Outdoor Corp. built a 190,000-square-foot ground up complex of four buildings in Goleta, California, outside Santa Barbara. The headquarters made of recycled building materials has parking spaces reserved for energy-efficient cars and power stations for electric vehicles. It has a bike storage area with showers and changing facilities for employees and environmentally friendly irrigation and water drainage systems and energy efficient lighting and mechanical systems. This entry was posted in Uncategorized on June 10, 2014 by Eddie. ARC is a Calibre Winner! ARC was part of the winning teams at the 2014 Calibre award. 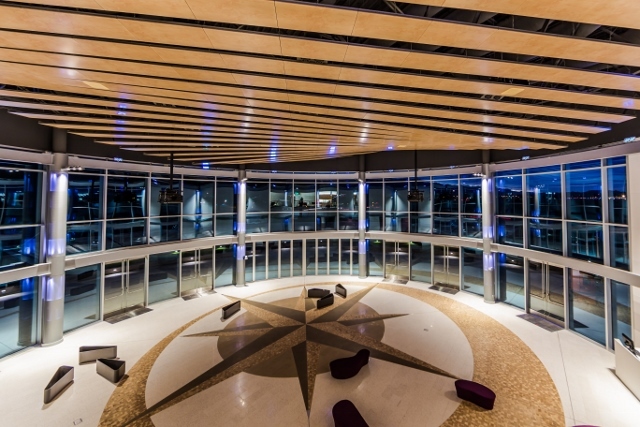 CBRE Global Corporate Headquarters won for Workplace Medium. The 48,000 sqft project completely renovated the interiors with modifications to every system in the space. The project was a collaborative effort with CBRE and Gensler as in addition to being LEED GOLD, the space is a Delow WELL certified environment. Our very own Bryan Gauger represented the team in accepting the award. This entry was posted in Uncategorized on May 10, 2014 by Eddie. 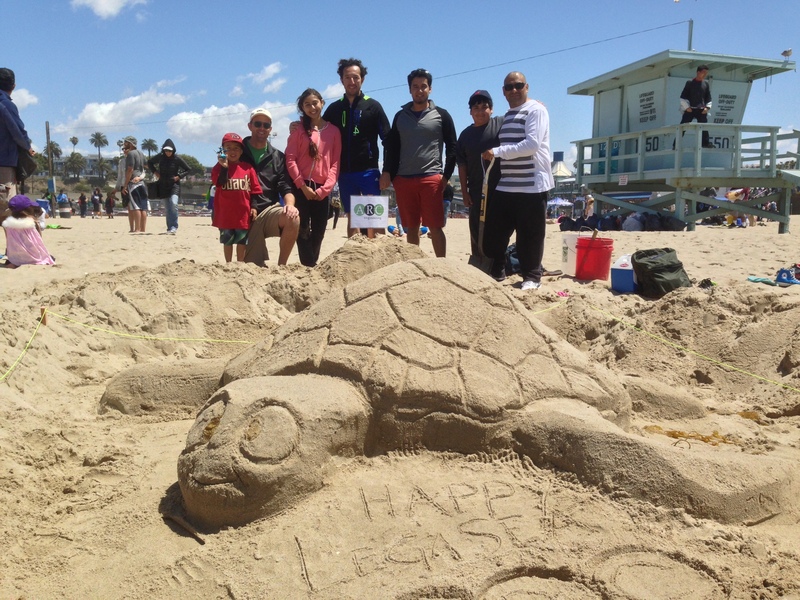 ARC was one of the sponsors for this year’s Heal the Bay Designer Sandcastle Competition. 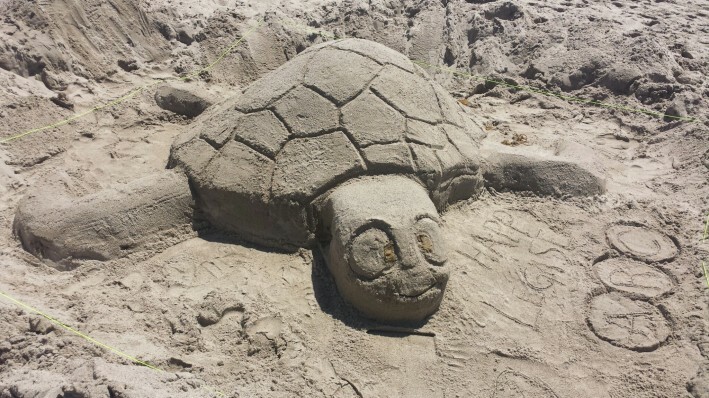 Heal the Bay has been a champion of our coastal beaches and waterways for nearly 30 years. This event raised $15,000 for this worthy organization. This entry was posted in Uncategorized on April 1, 2014 by Eddie. CBRE’s New Global Corporate Headquarters in Downtown Los Angeles achieves LEED® Gold Rating. The new office is 48,000 sqft on the top floors of 400 S. Hope and is also the first commercial Delos WELL Certified space. Featuring free addressing workstations, abundant natural light the space brought a new way of thinking about how they operate. ARC provided MEP engineering for the project working with CBRE and Gensler team. This entry was posted in Uncategorized on March 1, 2014 by Eddie.